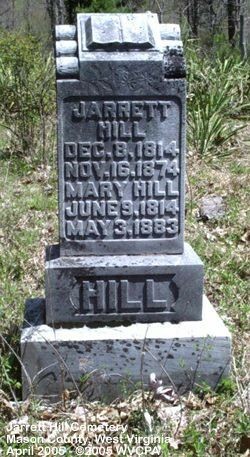 M: HILL, Jarret Jared (1815-1874) 1850 Census he is listed as a farmer with land worth $1000, all of his children at the time are attending school, except the youngest at the time (George) who is only 2. This differs from his neighbors whose land is worth far less 100-600 and have only 1 or 2 of their children in school. George W. KNAPP (1854-????) Not Neely's son, he was born while Neely was still married to Margaret Knapp.